Sanity Claws Radio – DIY Gaming! We do it ourselves in this episode of Sanity Claws Radio. Scotty, Karen, Badger and Jon set out to make our own games in this week’s discussion of Do It Yourself Gaming. We talk about games with level editors along with tabletop games that we’ve either modified or created on our own. Also, Badger returns from his vacation, Scotty and Karen adventure it up in Borderlands, and Jon does the Runbow! And finally, we finish off the show with a feisty round of I Can Top That. Stay tuned! There’s a bonus discussion on the health of the video game industry in the outtakes section at the end of this week’s show. It’s a fun time! Join in Won’t you? 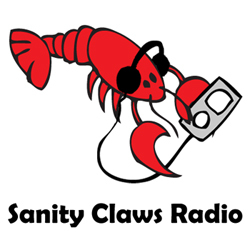 ← Sanity Claws Radio – Amiibo!